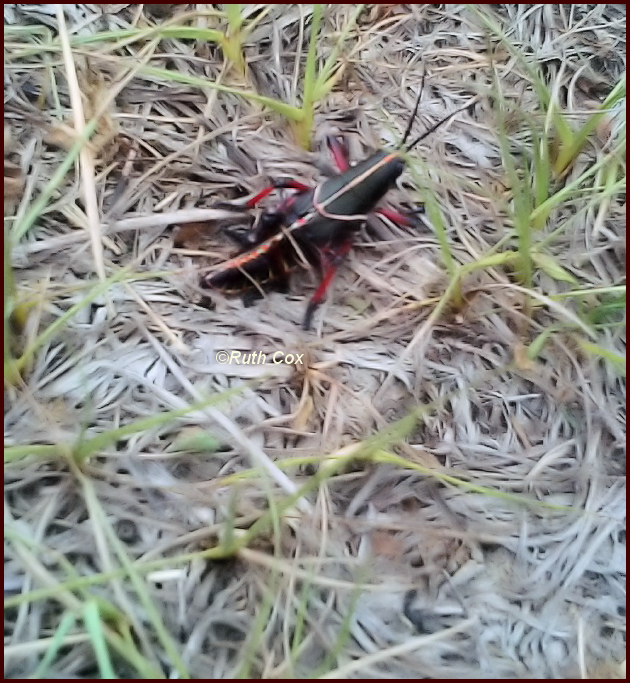 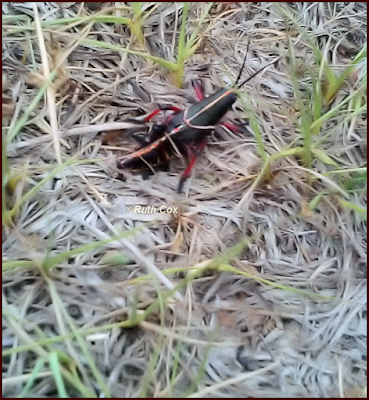 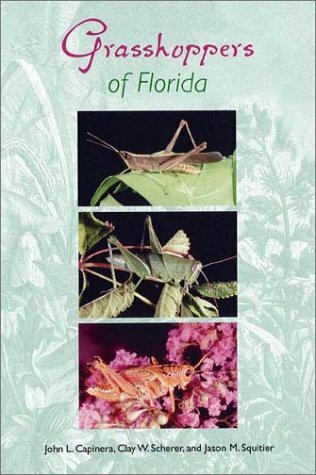 My research has me discovering this creature to be an Eastern Lubber Grasshopper, common here in the Florida Panhandle. 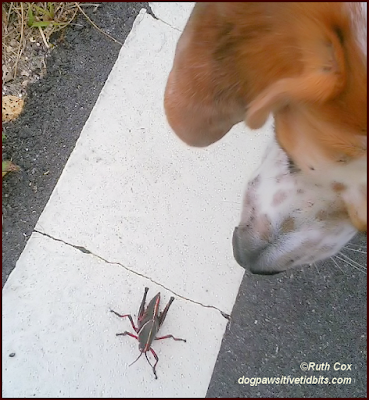 While the grasshopper had no reason to feel threatened by Valentino, the dog sure had fun hopping around with it for a while on a neighborhood walk today. 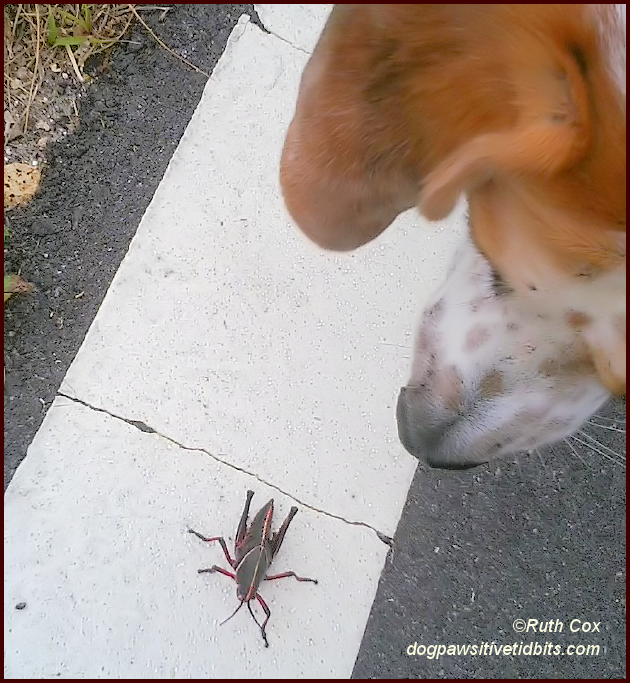 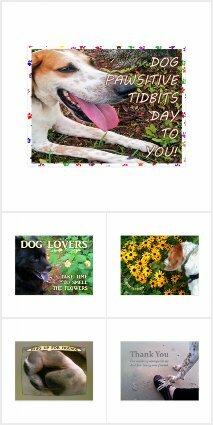 I trust you have enjoyed our featured creatures here today, my dog Valentino as well as the lubber grasshopper. 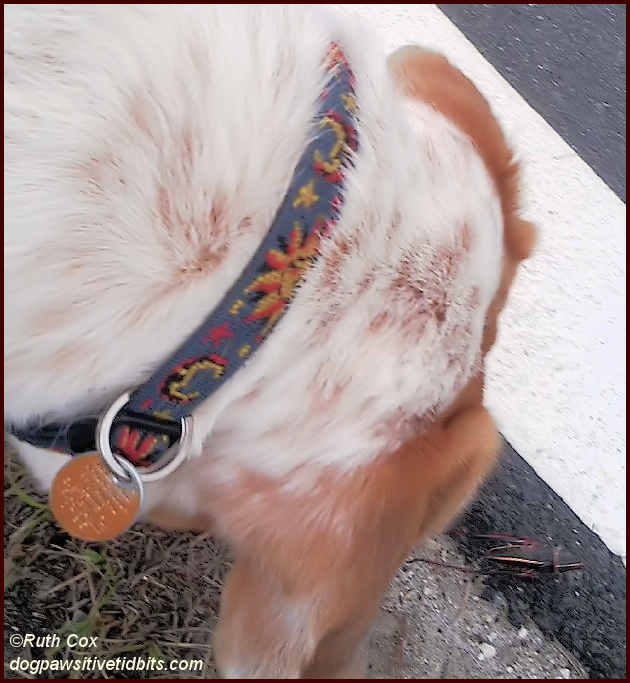 We're linking up with BlogPaws again this Wordless Wednesday, a fantastic community of pets and animal lovers and bloggers.